Tables are not just a piece of furniture; they’re for making memories. 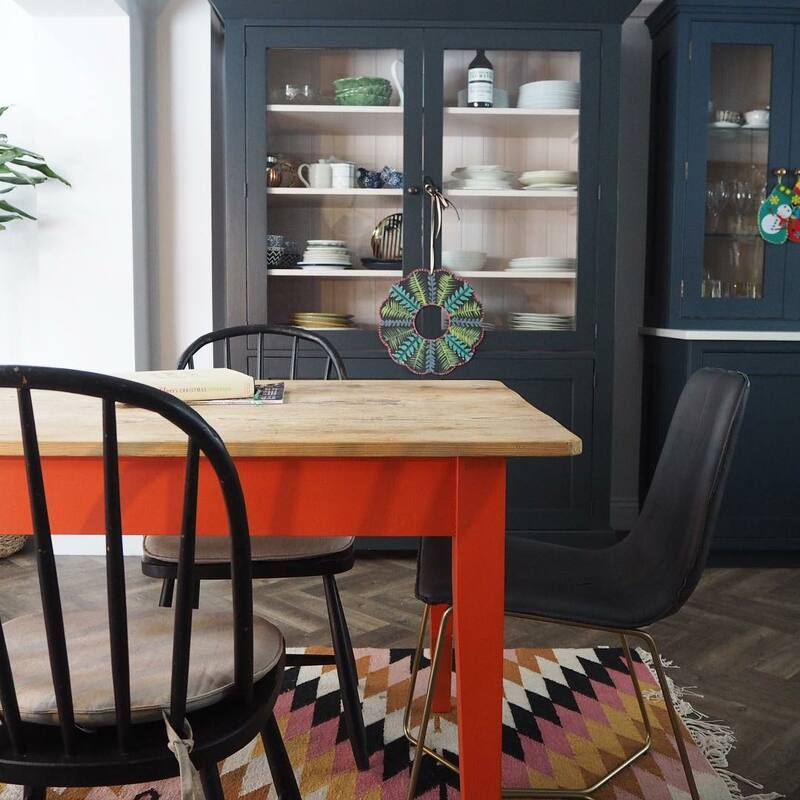 Whether it’s an extra-large table for hosting dinner parties, a vintage coffee table, or a poseur table for a home bar like Tim’s, we’re hoping that this blog will offer you some inspiration. Reclaimed pine and shabby chic dining tables are a popular choice for contemporary and rustic style kitchens. Each table is unique, featuring knots and grooves in the wood that add to their character. An extending table such as the ‘Madrid’ or ‘Wellington’ would be useful for a home that regularly hosts large groups. 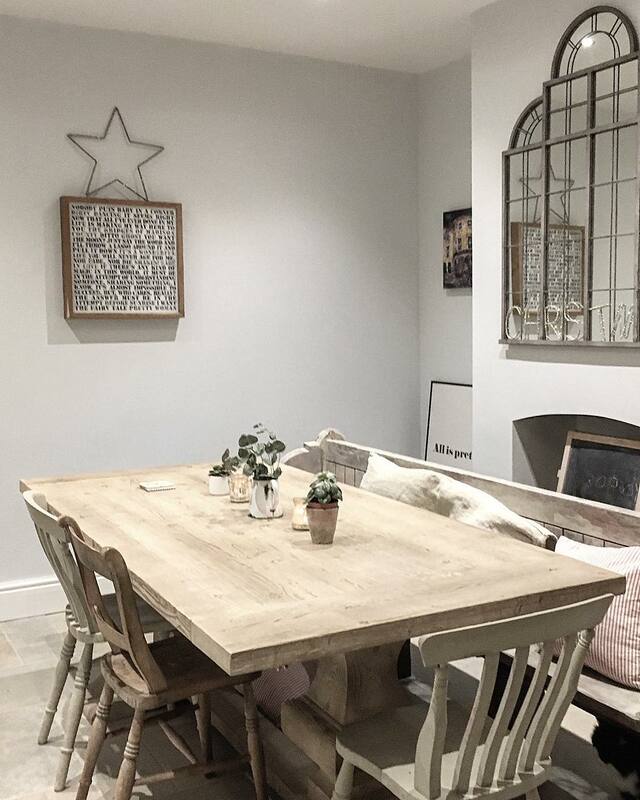 Zowie has styled her ‘Madrid’ table with our rustic oak ‘Bentwood’ chairs, whilst Claire has styled hers to fit with her shabby chic furniture. 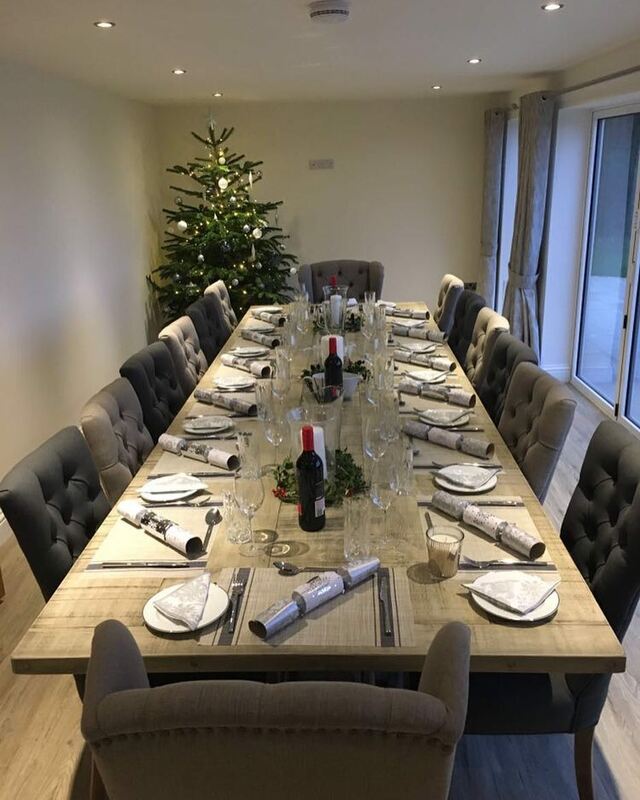 As an alternative, the bespoke service that we offer allows you to create your perfect table. The stand out feature of Katey’s dining room is the ‘Windsor’ table; she had it made 13ft x 4ft, and surrounded it with upholstered ‘Brittany’ and ‘St. Emilion’ chairs. Erica went for the ‘Boden’ table. The large ‘Boden’ table is a great centrepiece for her room, and ideal for family dinners. Erica asked for her the base of her table to be painted in F&B colour ‘Charlotte’s Lock’. 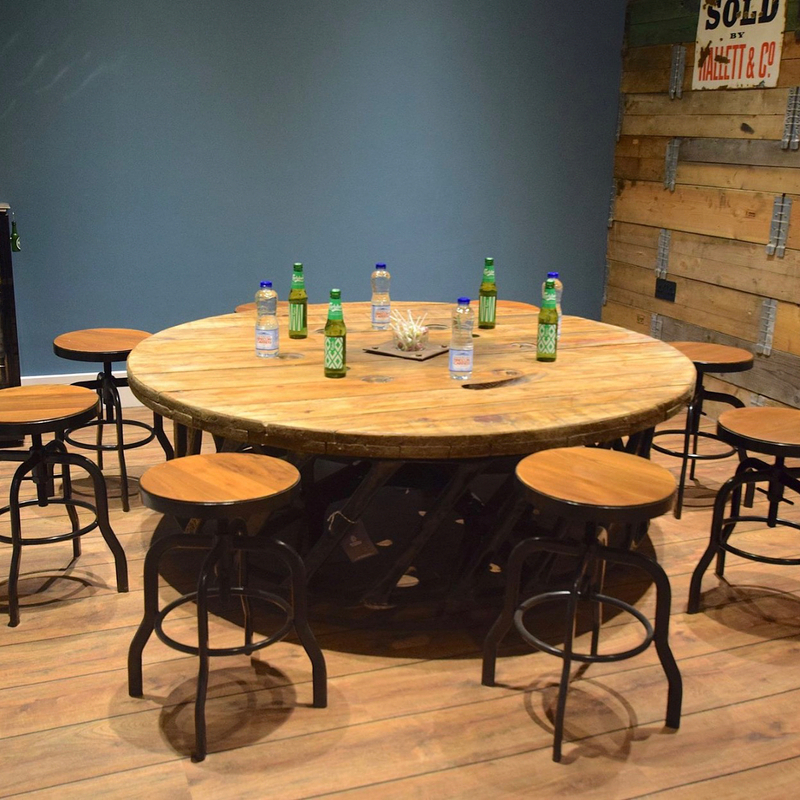 Metal tables are becoming increasing popular for industrial inspired homes, and are ideal for adding a bold feature to your kitchen or dining room. Tables with chunky metal frames such as our ‘Sheffield’ are available with a selection of tops, as part of our Design Your Own Table range. 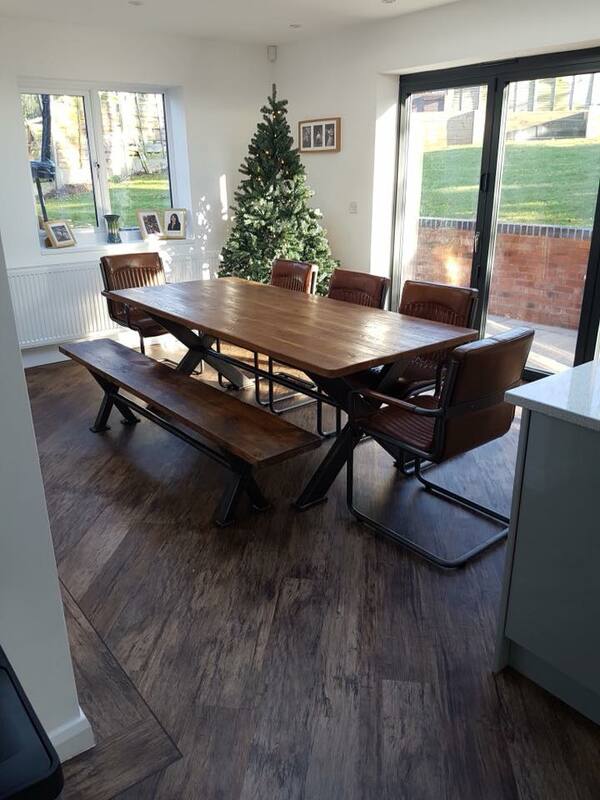 Rekha and Ian chose a reclaimed wooden top for their Sheffield table, and paired it with a matching bench and ‘Newbury’ chairs. 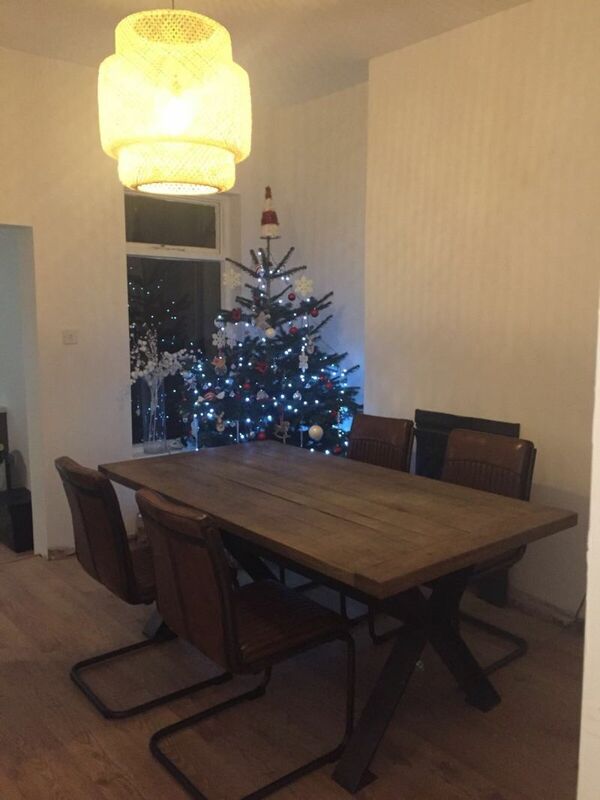 Emily chose the reclaimed wooden top, too, and styled it with the very similar ‘Goodwood’ chairs. The ‘Malaga’ table is also part of our Design Your Own Table range; it is available in two different lengths and has the option of either a copper or zinc top. 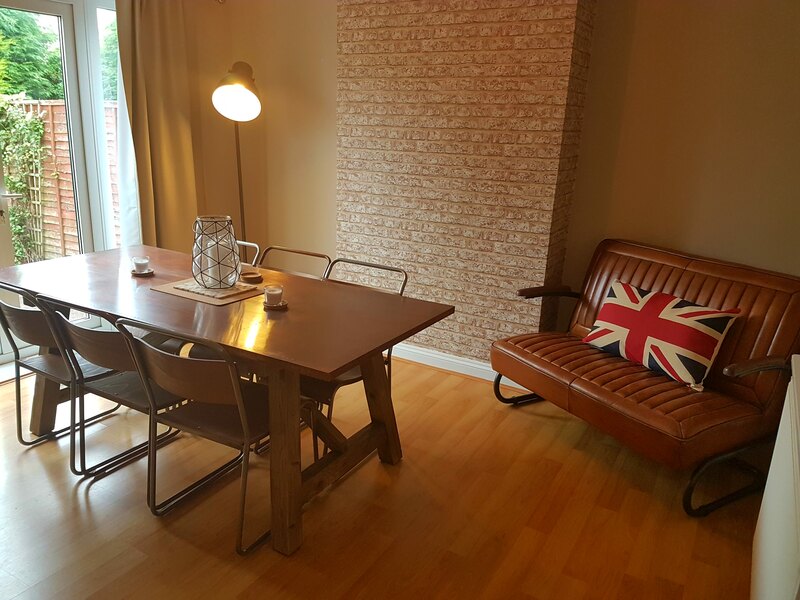 Aimée and Alex’s dining room looks amazing with the copper 'Malaga' table, ‘Chelsea Plus’ gunmetal stacking chairs and even our ‘Shard’ retro-style sofa! Tim has created an incredible bar and cinema in his home. 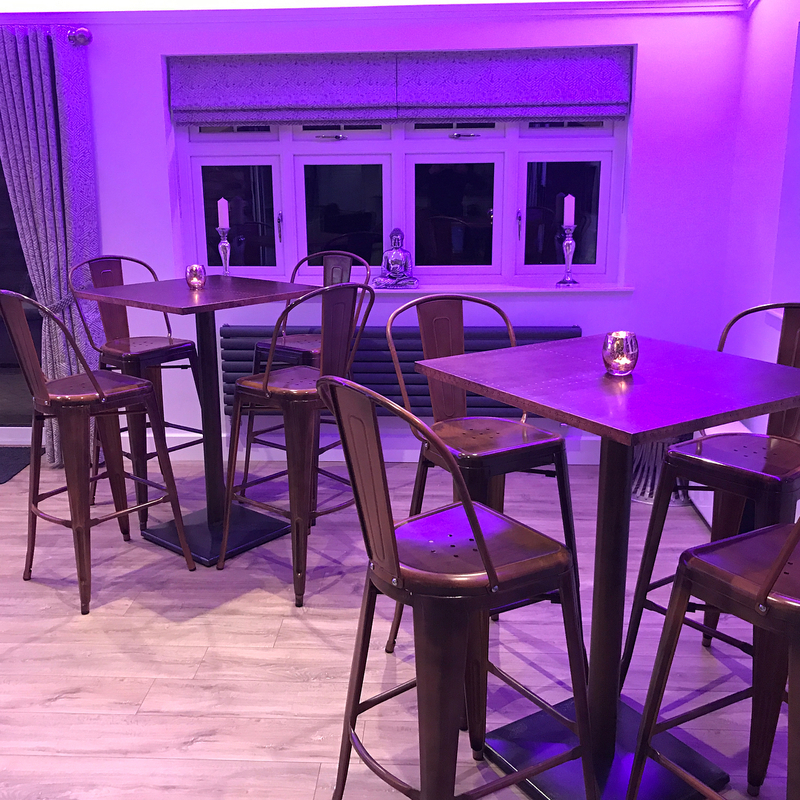 For the bar area, he ordered square copper top pedestal poseur tables, and a circular copper top pedestal poseur table with a ‘Sheffield’ X-frame base. 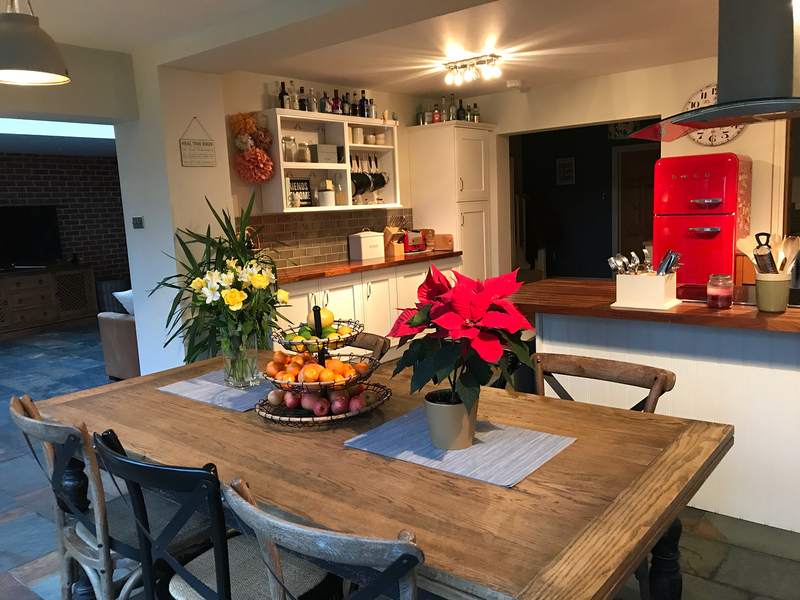 He put the finishing touches in with vintage bottle crates, ‘Fulham’ stools, classic bistro stools, ‘Machinist’ stools and copper high back ‘Tolix’ style stools. 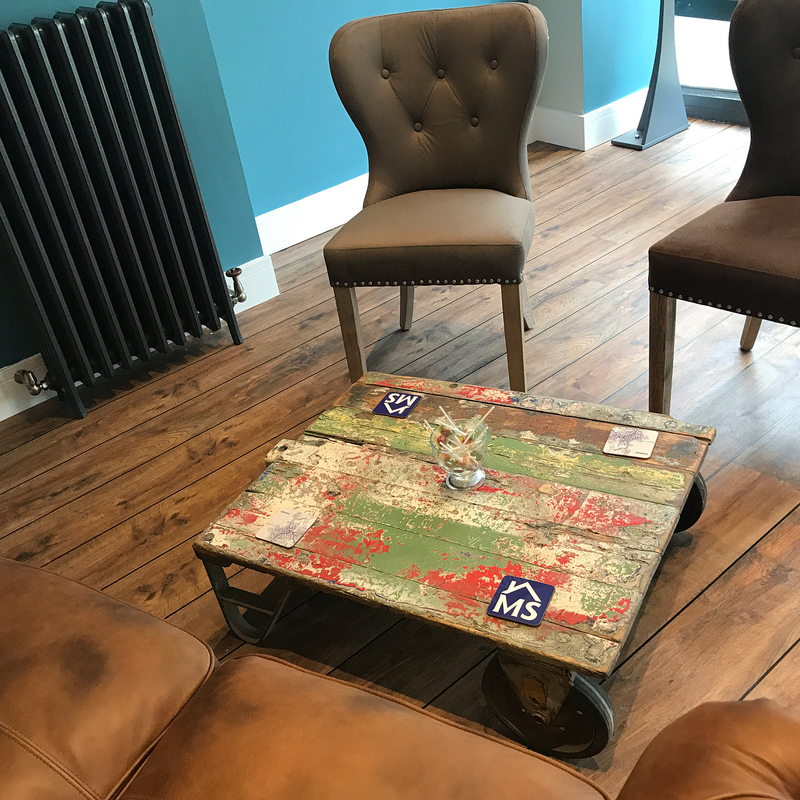 Every so often, you may come across a quirky vintage table such as the upcycled tractor wheel table and industrial coffee table in MS Estates in Aberystwyth. But you have to move quick – these items are one offs, and they don’t stay for long! Our tables work in pubs, bars and restaurants, too! 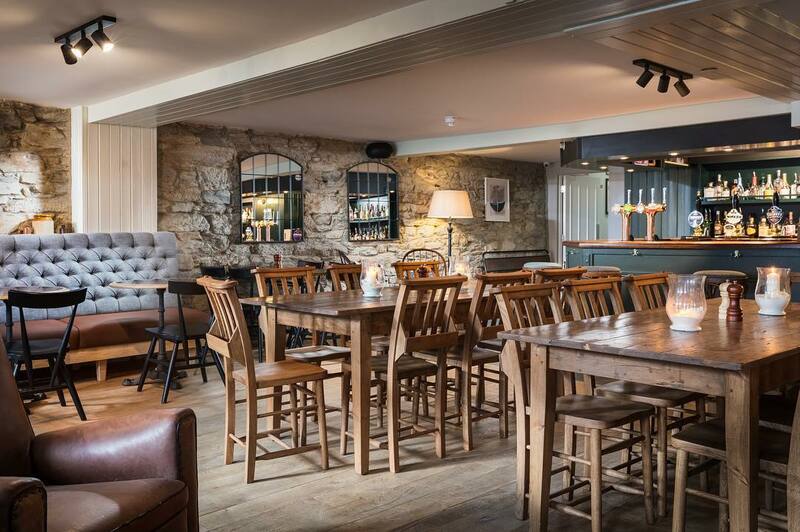 Falmouth pub, Penny Come Quick have, styled its interior with our bespoke farmhouse tables, round copper top tables, stackable reclaimed pine top tables, chapel chairs and a ‘Chelsea’ bench. We stock a wide variety of tables, so no matter your needs, we’re sure to have something you’ll love!